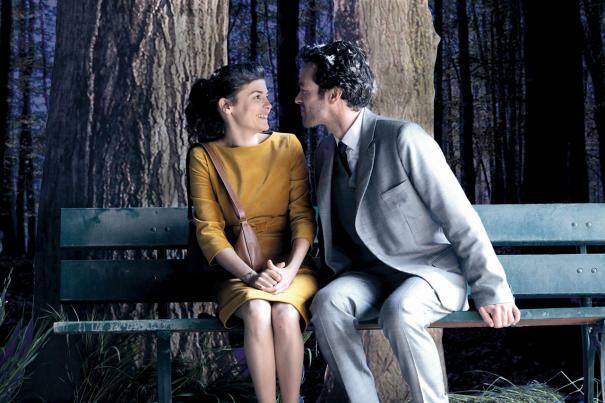 Eminently inventive Michel Gondry finds inspiration from French novelist Boris Vian's cult novel to provide the foundation for this visionary and romantic love story starring Audrey Tautou ("Amélie," "Coco Before Chanel") and Romain Duris ("The Beat My Heart Skipped"). Set in a charmingly surreal Paris, Duris plays wealthy bachelor Colin, whose hobbies include developing his pianocktail (a cocktail-making piano) and devouring otherworldly dishes prepared by his trusty chef Nicolas (Omar Sy, "The Untouchables"). When Colin learns that his best friend Chick (Gad Elmaleh, "The Valet"), a fellow acolyte of the philosopher Jean-Sol Partre, has a new American girlfriend, our lonely hero attends a friend's party in hopes of falling in love himself. He soon meets Chloé (Audrey Tautou) and, before they know it, they're dancing to Duke Ellington and plunging headfirst into a romance that Gondry rapturously depicts as only he can. Their whirlwind courtship is tested when an unusual illness plagues Chloe; a flower begins to grow in her lungs. To save her, Colin discovers the only cure is to surround Chloe with a never-ending supply of fresh flowers.